"Awesome effects in layers of ocean waters !" COMMENTS: Used this to add a Caribbean turquoise color effect to clear melt and pour layers. Used very lightly as I did not know how it would blend with the blue colors I had chosen to use. Held into the light it performed magically changing the the colors of blue as the sun does actually apon the ocean water. COMMENTS: I used this glitter in detergent free clear melt and pour and lightly colored it with Ocean Blue....absolutely stunning !!! COMMENTS: Love these pretty glitters this one especially! COMMENTS: I used this in a tropical themed bath bomb and it was perfect. It is a sea-green/turquoise color and is very pretty and shimmery in the water. It doesn't stain the tub and is very fine in texture. I will buy again. 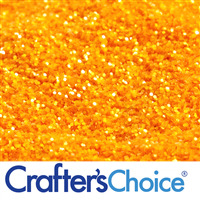 COMMENTS: Well, as far as glitters go, the vibrancy and quality of WSP glitters are outstanding. I use just a pinch, so a little goes a pretty long way for me. COMMENTS: Out of all the glitters ive tried this one is the best imo, the color is gorgeous and the feel of the glitter is soft and smooth, if that makes any sense! Really great quality. COMMENTS: Tweens just adore this color. Easy to mix, and took less then what I thought. COMMENTS: Creates a beutiful sparkle in my clear MP base, goes wonderful with a ocean theme! COMMENTS: If you are looking to give your soaps a little extra sparkle and dazzle, this will definitely do the trick! I love the color and it can be used for male or female soap scents. COMMENTS: I used this in clear soap for contrast in a mold with water. Turned out beautiful! COMMENTS: This is so pretty in melt and pour soaps.Love it! COMMENTS: Used this in a cold process soap that I used a white color to make it really pop. Love the color, it looks gorgeous! COMMENTS: Thus glitter is a beautiful, vibrant color. The 2 oz. size is much larger than I anticipated, and it comes well-packaged in a resealable jar. This should last a very long time and yield many bath bomb recipes. COMMENTS: Adds that special touch to my soaps! "I am a sucker for Turquoise.. "
COMMENTS: This glitter is amazing! The sparkle is outstanding.. I just love it and use it every time I soap! • Spray with alcohol and this stays!! COMMENTS: I use this color in my spa/tropical lines of soaps. It is a gorgeous color. People are attracted to it. COMMENTS: I use this glitter in my sea inspired soap bars and it goes perfectly. COMMENTS: I just started experimenting with glitter in my soap loaves. I mostly use white soap...neat speckle when added to white, nice for dusting the top! COMMENTS: Great quality and luxurious color! Love it! COMMENTS: This glitter looks great on my CP soap! COMMENTS: Beautiful vibrant color...used on the top of a loaf of soap I made. COMMENTS: Touch of color...very pretty in bath bombs as well as top of Soaps. Nice Pop to each item. COMMENTS: Very beautiful color. Sparkles very nicely. And gives a nice color also. COMMENTS: I use this to sprinkle a little color on top on my MP soap. COMMENTS: I got it as a sample and I am glad I got to sample it. "Brilliant color! This glitter is so beautiful!" COMMENTS: This is a stunning color! It reminds me of a lagoon! 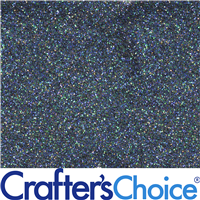 Crafter's Choice glitters are bright and bold! 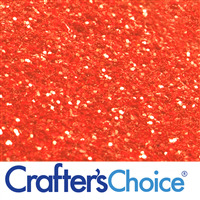 This glitter is very fine, which is perfect for adding just a smidge or lots of sparkle to your products! COMMENTS: I love this teal color. It's gorgeous in bath bombs. COMMENTS: I've tried them in different colors and I'm loving these. A perfect particle size and easy to use. COMMENTS: This is my favorite color of all the glitter that you have!! COMMENTS: Great color and perfect size glitter. COMMENTS: I used this in one of my winter themed soaps and it gave a wonderfully icy sparkle to the soap. COMMENTS: This glitter worked great on my soap. COMMENTS: Lovely color and sparkle. Thanks! COMMENTS: A beautiful rich teal color! COMMENTS: I really like any type of glitter topping and this one makes my soap so cute and sparkly, will buy again! COMMENTS: I sprinkled some of this in cupcake soaps. It was a sample so I didn't have too much to experiment with it. But I will order more for other projects for Christmas. COMMENTS: I love using all the colored glitters to add depth to my soaps. I also add the white glitter to add more dimension. COMMENTS: You can never go wrong with any and all WSP glitters. They are milled so fine and so useable in soap. 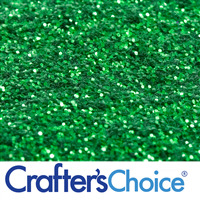 "Crafters Choice™ Turquoise Green Glitter"
COMMENTS: I used this to brush on black spiders...what a great affect...just enough added color. I think my grandkids are going to like those soaps. COMMENTS: Very pretty, but I'm having a hard time getting it to stick to wet or dry bath bombs. COMMENTS: If you like to top your soaps with glitter, this is a really pretty one to do that with. I will buy more when my sample is gone. COMMENTS: The selection of glitters offered is amazing. I like using these in my soaps. The quality and price are great. Try them, I am sure you will like them too. COMMENTS: Nice addition to clear soaps, it makes it sparkle. 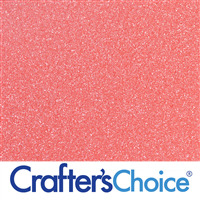 COMMENTS: This glitter is cut so small it just makes the bar tops look "dirty" as opposed to "magical sparkle." I guess this would be really great for transparent liquid soap or clear melt and pour where the glitter would be suspended inside the bar, which is why I gave it 3 stars and not less. However, for the tops of cold process bars, imho, it's not a good choice. Still, it was a sample and VERY KIND of Wholesale Supplies Plus to include. I appreciate getting to try it at no financial risk to me. Thanks, Wholesale Supplies Plus! WSP Response: Thanks for the comment. The larger sparkle cut is not recommended for soap or body products because the size is dangerous to the eye area. I do appreciate the feedback! COMMENTS: Looks adorable on my soaps! Very pleased! 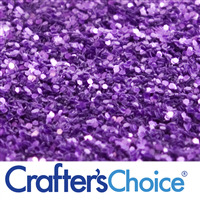 COMMENTS: This is a great glitter, ideal size for topping CP soap for a little colored sparkle. I really like the unique color. COMMENTS: I have never considered myself to be a "girly girl", but my sons say I become such a girl when I'm decorating my soaps and products. 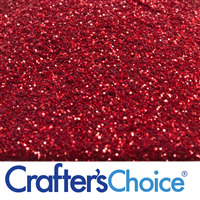 This glitter looks so great on finished products and well worth the price. I'm ordering all the colors!!! NOTE: A little goes a long way! • WSP Glitter makes me happy! • Multi-color would be great!!! COMMENTS: This is a stunning color. I got this as a sample and I mixed some with the Sparkle Iridescent Glitter to make it stretch a bit further. I sprinkled the top of a White M&P loaf with clear M&P mixed with ocean blue on the bottom. The bars are beautiful. COMMENTS: such a beautiful rich color to work with. I so wish I had got the bigger one or just more of it. WOW...it really can make a soap "POP". I used it as a swirl in my CP. "A girl can't have enough glitter "
COMMENTS: I am really getting into more decorative soaps and glitter is part of that. This color is excellent for sea/ocean/water theme based soaps. The results are absolutely beautiful. It is great for blending in suspension soap mixtures and also in sprinkling on top of the soaps. The small particle works fine because it's not abrasive. COMMENTS: I used this as a soap topper mixed in with an oxide pigment, it added an interesting effect. COMMENTS: Love this product. Pretty color. 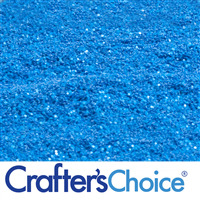 COMMENTS: I GOT THIS AS A FREE SAMPLER, I MIX IT WITH A BLUE COLOR I HAD AND SPRINKLE THE REST ON TOP. JUST LOVED HOW MY SOAP CAME OUT . I WILL MORE OF THIS COLOR VERY PRETTY. "Glitter is a girls best friend!" COMMENTS: Really pretty shade of turquoise blue. Nice for sea shade. This glitter is dramatic on top of melt and pour soap to give it sparkle and glamour. It works great for swirling in clear melt and pour soap for that something extra. The small particle size keeps it from being too abrasive. A little goes a long way. You can never ever have too much sparkle in your life! It works best in suspension formulas so the glitter doesn't settle to the bottom. If you use it in non-suspension bases you need to pour at a lower temperature so the viscosity is thicker to keep the glitter suspended. • Static cling in jars or bags. COMMENTS: I use this to sprinkle on top of my cp soaps. Very pretty. COMMENTS: Love how it sticks well on top of the soap even when the soap hardens up soon, beautiful color. COMMENTS: I use this in my Clear M&P soap when I use the Teal color block. It makes for a beautiful soap. Love It! COMMENTS: Beautiful color. I love the shade of teal it is. COMMENTS: I got this to put with my swirl soaps for teens. They just loved them! COMMENTS: this glitter is so great, i use it on everything. its super fine and gives any product that extra touch of glamor. i love that it comes in jars, makes it so easy to store. i ordered the sample bags at first and loved it so much i ended up getting a 2oz jar of every color. COMMENTS: This color is perfect! Love the sparkle and how well it holds up. COMMENTS: I feel so redundant here. I own each and every glitter and mica color that WSP makes. Love the colors and the prices. They are all so glittery and sparkly. Would not even consider going anywhere else for my glitters and micas. COMMENTS: this may be my favorite glitter. Super fine, Used on top of CP and also in nail polish, I couldn't ask for a prettier blue/green! COMMENTS: The product pictures don't do this color of glitter any justice! It's a truly gorgeous shade of turquoise and a tiny bit of it goes a very long way! "CP HP and Liquid Soaps"
COMMENTS: This is perfect for blue and turquoise themed soaps. It is light/fine and it stays on the the soap during the curing phase. I also took a bit of this a put into my homemade liquid soap. It dispersed with ease. My daughter loves the 'sparkles' (that is what she calls them... LOL). WSP Response: Thank you - we love the glitter too! Tell your daughter Sparkles is a cute name for it! 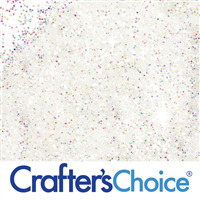 If you would like to make a liquid soap/shower gel with glitter suspended throughout the soap, use Crafters Choice™ Liquid Suspension Soap Base. It's easy to use and a lot of people love it. ENJOY!! "If I use the Turquoise Green Glitter in cp soap, will it stick to the skin as I'm using the soap?" If used to top CP soap, it could be visible on the skin until the top used. If used at normal levels dispersed within the soap, it typically won't be left on the skin. I've used this glitter and others from here to top my CP and no.. I've not notice it sticking before. I'm pretty generous too.